Follow the footpaths of the Inca to the roof of the Andes, passing ancient Tambo ruins, and breathing in pure mountain air by the lungful. This option is a majestic circuit in all its tempting and boundless variety. DAY 9: Inca Trail - Machupicchu. LUNCH AT A TRADITIONAL PERUVIAN RESTAURANT: At the end of the tour we will stop at a famous restaurant in Miraflores to enjoy a buffet lunch that will include a variety of dishes and desserts of one of the richest, most exquisite and original cuisines in the world. Inca Trail Children, $ 40.00 per person (Passengers under 18 years old receive the same discount as a student. If you are claiming a child discount you must send us a scanned copy of your child's passport by email). 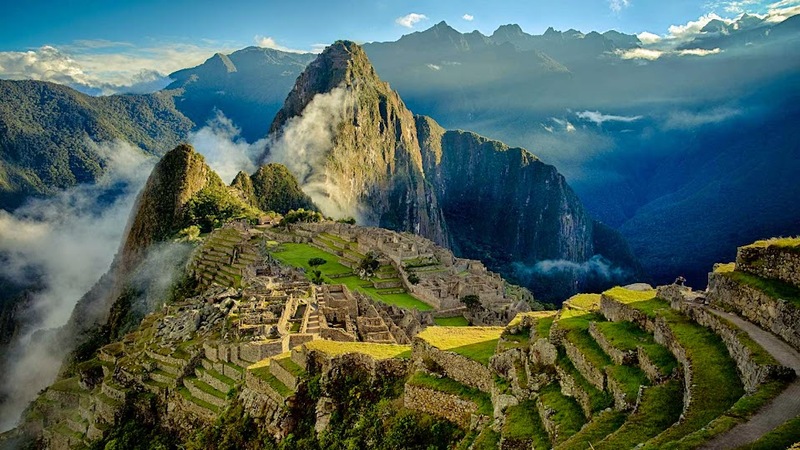 Inca Trail - Andean Community: Peru, Colombia, Bolivia and Ecuador : $ 30.00 per person.